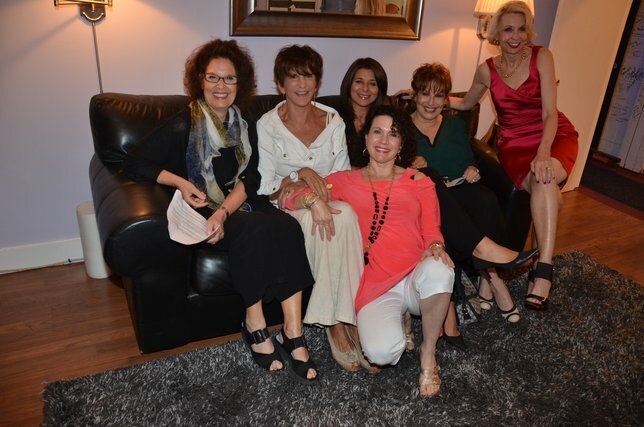 Sag Harbor, NY – August 9th, 2013 – Bay Street Theatre welcomed Joy Behar, Susie Essman, Julie Halston, Angela LaGreca and Mercedes Ruehl to the stage as they performed a night of comedy, song and original artistic pieces for the Broads for Bay Street as a benefit for the theatre to raise money for its summer and educational programs. Guests of the Broads for Bay Street included Leslie Avayzian, who was part of one of the readings, Liza Minnelli, Ted & Dina Merrill Hartley, Robert Zimmerman and Bruce T. Sloane. Bay Street Theatre is a registered 501© 3 not-for-profit organization. Donations are tax deductible according to IRS regulations. Tax deductible donations can be made in 4 easy ways: by visiting the Box office, by calling Jessica Lemire in the Development Office 631-725-0818, x129, by donating online at www.baystreet.org, or by sending a check to Bay Street Theatre; PO Box 810; Sag Harbor, NY 11963. Subject: LongIsland.com - Your Name sent you Article details of "Broads For Bay Street Benefit - A Night Of Laughs And Fundraising"